Keisuke Yamamoto was born in 1979 in Tokyo. After graduating from the department of Sculpture of Tokyo Zokei University in 2001 he stayed at the university as a research student until 2003. He currently lives and works in Kanagawa. This show at Tomio Koyama Gallery is his sixth solo exhibition, and his major group exhibitions include “VOCA 2008” (2008, The Ueno Royal Museum, Tokyo), “Winter Garden: The Exploration of the Micropop Imagination in Contemporary Japanese Art” (2009, Hara Museum of Contemporary Art, Tokyo, traveled to several international museums), “Twist and Shout: Contemporary Art from Japan” (2009, Bangkok Art and Culture Centre), and “Nostalgia and Fantasy: Imagination and Its Origins in Contemporary Art” (2014, National Museum of Art, Osaka). His work is collected by the National Museum of Art, Osaka and international private collections. "Bubblewrap: After Mono-ha, the next established art movement is Superflat, but that means the interim period overlapping the years of Japan's economic bubble has yet to be named, and I think calling it "Bubblewrap" suits it well. It especially makes sense if you incorporate the realm of ceramics. This show will contemplate this period through works including those from Takashi Murakami's collection." 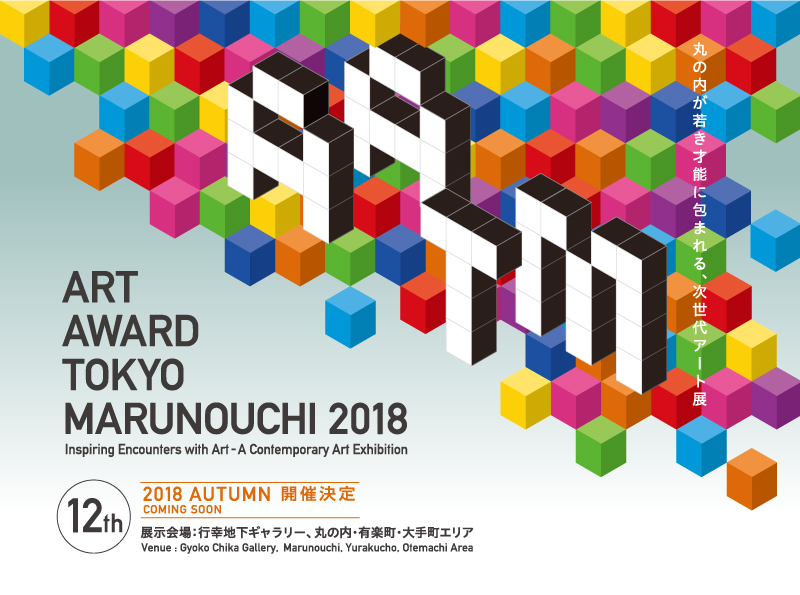 "ART AWARD TOKYO MARUNOUCHI 2018"
group exhibition "Singularity of a Tree #2"
solo exhibition "A Long, Long, Long Time Ago"